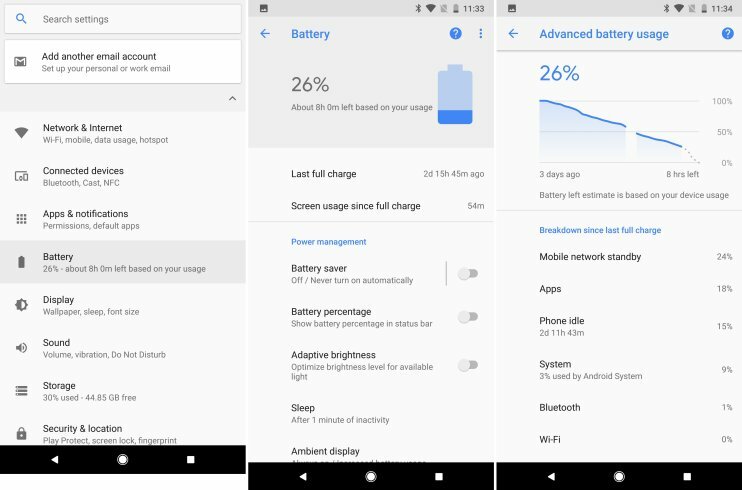 After the Android Pie update, some Pixel 2 XL users have started reporting about the fast battery drain issue, but when they tried to charge it, recharging was incredibly slow. Although a huge 3.520mAh battery on Pixel 2 XL is enough for daily tasks, problems can make it die quickly. So, that’s why you should know about settings to change, steps to take in order to make your phone battery last as long as possible. Android 9 Pie update is almost perfect on Pixel phones. However, there are still some quick changes you should try and then see a noticeable difference. In the next section, we’ll help you figure out what’s causing the poor battery life on your phone, and share solutions to fix it. Our first recommendation is also the easiest trick. There are many glitches that can cause your battery to drain faster than normal. Sometimes, a simple way to fix the problem is rebooting your phone. To do a quick reboot, simply long-press the Power button and tap on Reboot to restart your Google Pixel 2 XL. Try that first, and then continue on for more information. The second step to fix poor battery issue after a reboot is finding out whether there are apps causing problems. You should find them before your battery is exhausted. If you want to save up your Pixel 2 XL battery life, you should keep an eye on how much juice apps are using. If there is a lot of apps running on your phone, they are going to drain your battery. In some cases, an app takes up more battery than it should be, and you have to avoid that. Simply go to Settings > Battery and tap the battery icon. From here, you will get a full breakdown of apps as well as battery consumption. Normally, Android System, Screen (Display), or Pixel Launcher will be the top of the Battery Usage section. However, if something else is at the top like an app, it might be your problem. Tap on it and choose “Force Stop” or uninstall the app to fix the problem. If it’s the app you often use, it’s OK, but if not, you know what’s eating up your battery. Another tip you should try to improve your device battery life is disabling the Always-On Display feature on your phone. When your screen is off, you’ll see a clock, the date, battery meters, and notifications on the screen. It’s the always-on display, which provides you helpful information juts at a glance. While it’s useful and convenient, it will absolutely take up the battery rather than if it is completely disabled. So, if you feel this feature is not too important, you should turn it off to save battery on your Pixel 2 XL. Simply head to Settings > Display > Advanced > Ambient Display. Tap on it and then toggle Always-On Display option off. From now, your phone screen will turn off completely and save your battery life better. It sounds absurd, but using a Black wallpaper can help improve your device battery life. This is because of the new OLED display in the Pixel 2 XL. OLED screens are efficient and display black colors excellently. Pixels won’t turn on individually when displaying a black image. As a result, a black image will save your battery life. Once you got a nice wallpaper, simply long-press on a blank area to go into Wallpapers section and apply it. The notification bar and other aspects will also change to a dark theme based on your wallpaper. So you can try it and see the change. A very helpful tip that many users managed to succeed in saving battery life that is turn off Wi-Fi or Bluetooth, GPS, and LTE when they aren’t in use. For example, you allow GPS for Facebook or Twitter app, but you should disable GPS for those apps and then see the change. Disabling GPS for apps can help your battery life last a few hours. Go to Settings and enter “Location” in the search box to go into location settings. From there, change your phone to the battery saver mode. You will then notice a big improvement in your battery life. 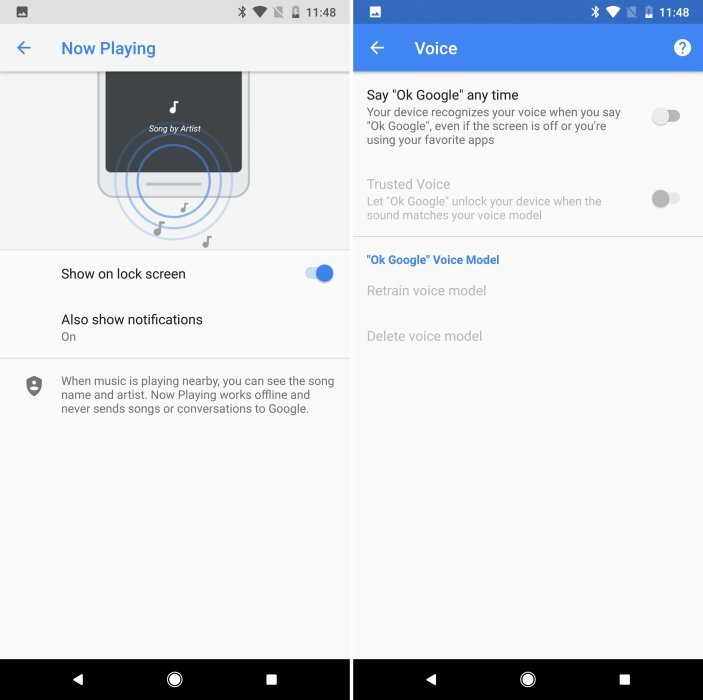 There are a lot of features on your Pixel 2 XL that are always running in the background and ready to help you like Google Assistant, voice-detection, or the new Now Playing music recognition. Although they are great, your battery will be consumed so fast. If you don’t usually listen to music, or don’t talk to Google Assistant daily for help, you’d better turn off these features. Another trick you should try is using the battery saver mode on your phone. Although Google doesn’t offer any customization as other OEM manufacturers, it still works well. Go to Settings > Battery and enable Battery Saver mode when your battery is low. This mode will limit most of the advanced features on your phone to extend your phone battery life. 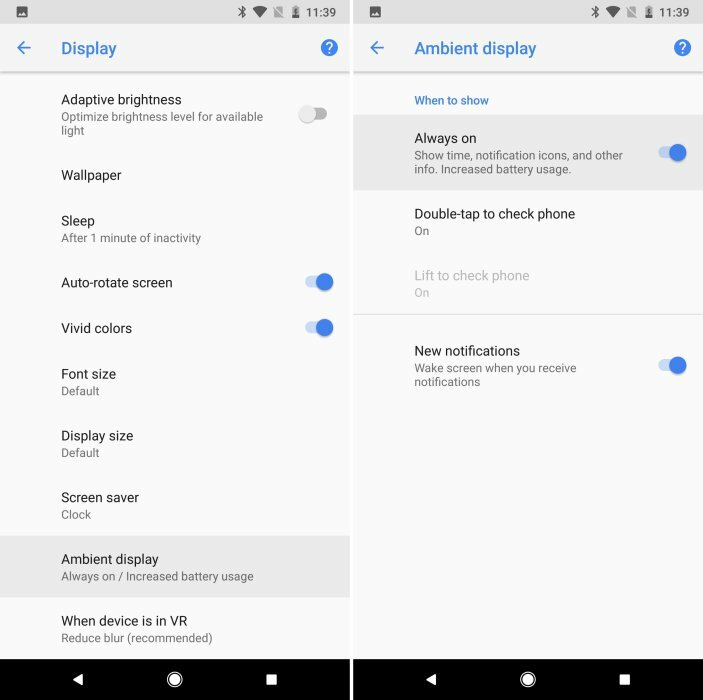 You can also customize when it enables, and Google also offers other options like disabling the Ambient Display or using adaptive brightness to save more power. You can also consider downloading Snapdragon BatteryGuru app, which can learn your habits when you use your phone and then start controlling things such as Wi-Fi, GPS, Bluetooth, and other features before you want it. Essentially, handling things like Wi-Fi and screen brightness can help your Pixel 2 Xl battery last longer. These are common solutions to fix poor battery problems on your Google Pixel 2 XL. If you know other useful tips, let’s know in the comment below.